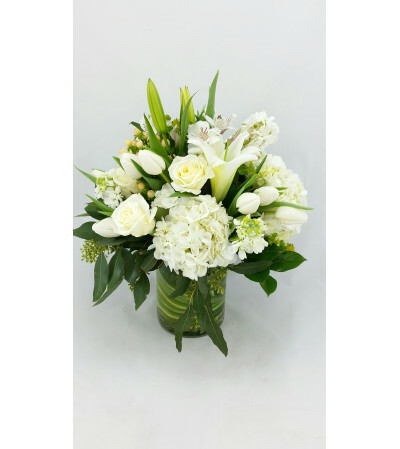 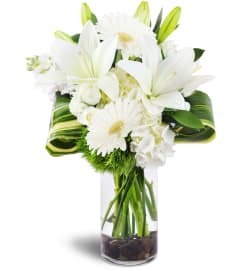 Classic white flowers arranged in a clear cylinder style vase. 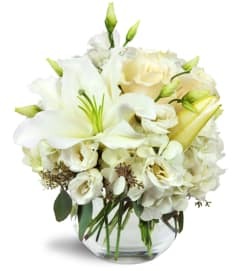 Lilies, roses, and other seasonal white flowers round out this design. Perfect for most any occasion.